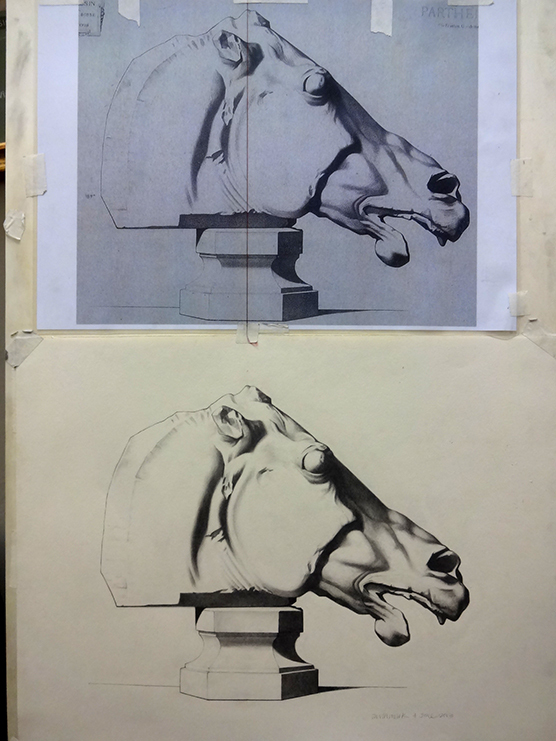 This is a near to finish Parthenon Horse bargue that I have been working on for the past 6 weeks. This one took a long time. It was amazing how my journey on the Camino last year taught me how to "slow down", but this particular bargue brings it to a whole new level! They say the 2nd bargues are the most painful. And once you move past this, even the next may be tougher, it will be bearable just because you did the 2nd bargue. - I began to see clusters of shapes instead of individual points. - Pacing myself and not allowing the speed of others to affect me... we're all different, doing different things... another Camino reminder. - I developed a heightened awareness of precision.